Home » News » Summer Camp Special Guest Update – Three Confirmed! 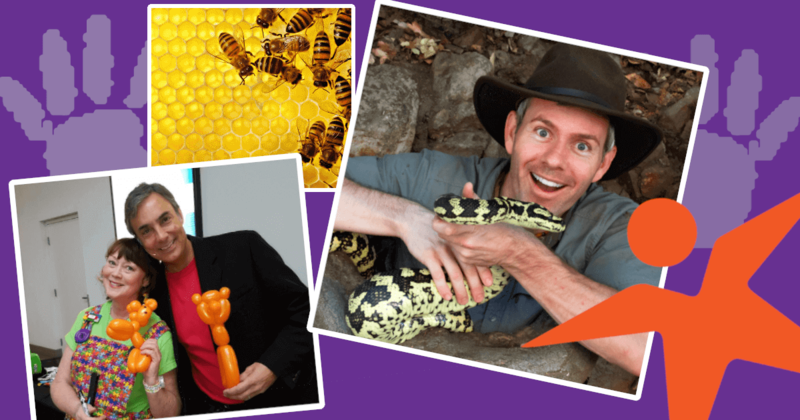 Three Special Guests Confirmed – Magic, Bees & Animals! We’ve confirmed three Special Guests for our 2019 Summer Camp! That’s three out of twelve rad events for kids, and we’ll be announcing NINE more soon! Admission is FREE with Camp Enrollment! Enroll in a camp on the day of a special guest event, and get access to the event scheduled for that day! Full Day & Weekly packages are available at both locations…and they also include admission to a Special Guest Event! Half Day options are available at the Fremont location. Space is limited! 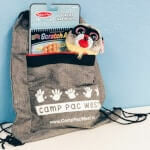 Enroll in Full Week Camp by May 1st and receive a Camp Pac West Prize Pack, including a drawstring bag, Beanie Baby and Melissa & Doug Scratch Art Pad. Wow! Since it’s a week long camp, it also includes a Friday Special Guest Event. That’s a FREE, super cool drawstring bag and Special Guest event! Flexible minimum to full-day packages, starting at starting at $50 – Learn More & Enroll Online! You may request enrollment using an online form. You may also Enroll & Pay Online using Studio Director, our parent portal for classes and camps! Our camps are filled with high energy, structured activities for your active kids and incorporates gymnastics, arts and crafts, group games, fun and friends every single week. With flexible scheduling and morning, afternoon or full day options, we make it easy for your children to have a blast! Spring Break Camp 2019 Now Enrolling! Summer Camp 2019 – Early Bird Enrollment Special!